Willenhall’s first canal, the Wyrley & Essington, was built to transport coal from Essington Wood Colliery, Wyrley Bank Colliery, and collieries around New Invention to Wolverhampton and Walsall. 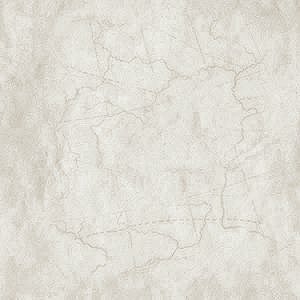 Construction was authorised by an Act of Parliament, passed on 30th April, 1792. The canal followed the natural contours, to avoid as far as possible, the building of locks. It was surveyed by William Pitt. Much of the finance came from Wolverhampton businessmen, principally the Molineux family. Work soon started under the canal company's engineer, William Pitt. There were two branches, one to a colliery at Essington and the other to Birchills near the centre of Walsall. The canal joined the Birmingham Canal at Horseley Fields and opened on 8th May, 1797. In 1840 the canal was acquired by the BCN. The Wyrley & Essington Canal had only a small impact on Willenhall because it came no closer to the town centre and its industries, than Pool Hayes and Lane Head. In 1843 a second and more important canal, the Bentley Canal, opened. It ran from the Wyrley and Essington at New Cross, to the Anson Branch on the Walsall Canal. The Neachells Branch which served Neachell Hall Colliery, and several coal mines in the Neachells area opened in 1845. The Bentley Canal served many of the local industries including Monmer Lane Iron Works, Willenhall Colliery, coal mines in the Sandbeds area, and local brickworks. Large amounts of iron, coal, and goods of all kinds would have been transported on the canal. Off Clarke’s Lane was the large Crescent Wharf and basin. During the 1950s and early 1960s the canal saw little traffic, and fell into disrepair and dereliction. The Neachells Branch closed in 1953, followed by the closure of the Bentley Canal itself in 1961, which quickly became weed-bound. "Eventually, the canal bed was excavated from a few hundred metres to the west of Fibbersley (possibly the boundary between the boroughs of Wolverhampton and Walsall) off to the east, possibly as far as the Anson Branch Canal in Bentley." "Large prefabricated concrete sections were lowered into the trench by a crane on caterpillar tracks. I recall using the site as a playground, running along inside or above the concrete sections." "The sections were joined together along the length of the former canal to form a culvert, and the water that had previously drained into the canal subsequently drained into the culvert." "Walking along the route later, it was possible to see occasional "man hole" inspection covers. Some bridges were removed or altered after the canal had gone, including Fibbersley and Monmer Lane." The culvert for the Bentley Canal being built alongside the old high-rise flats. The photograph was taken by Richard Ashmore. 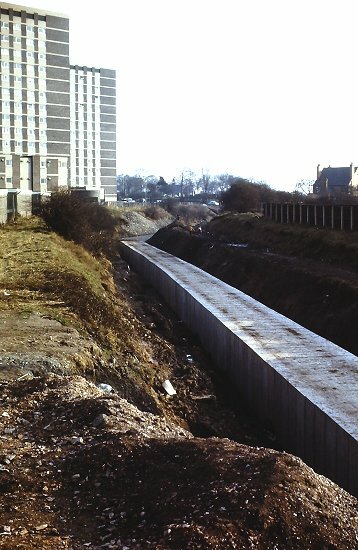 The culvert being built on the site of Bentley Canal, looking towards Clarkes Lane. The photograph was taken by Richard Ashmore. What now remains of the Bentley Canal, as seen from Clarke's Lane. In 1793 when the Wyrley & Essington Canal was under construction, the canal company decided to economise on bridge building by diverting the main road to Bloxwich. The original route was along Haley Street, Ezekiel Lane, and Coltham Road. The canal crossed the junction of Haley Street and Ezekiel Lane, and so a bridge over the canal would be required. In order to avoid building the bridge, the canal company closed off both roads, and diverted the route through High Road, and across Lane Head Bridge, which was then linked to Coltham Road by a new road called Straight Road. This avoided building two bridges, one in Haley Street and another at Lane Head. This has been commented on many times over the years because Lane Head Bridge is awkward and dangerous, and carries a lot of traffic. Changes made to the roads when the Wyrley and Essington Canal was built. In the early years of the 19th century, good roads and road transport became more important because it was a necessity for the growth of local industries, and people were travelling more. The most important road building project at the time was Thomas Telford’s Holyhead Road, which ran locally from Birmingham, through West Bromwich, Wednesbury, Bilston and Wolverhampton. 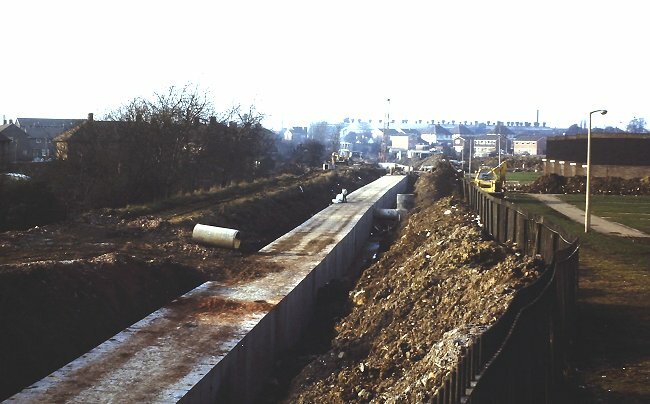 It was realised that the road would greatly increase the amount of traffic through the area, and as Willenhall had become a bottleneck on the main route from Walsall to Wolverhampton, it was felt that something needed to be done to ease the problem. 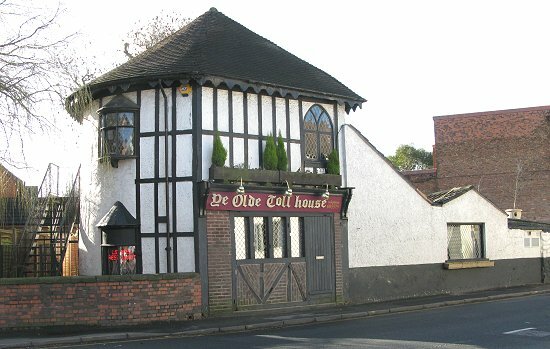 The toll house built for the Walsall Road Turnpike Trust, set up in 1750, now a restaurant. An old view of the toll house. The traffic from Walsall passed through the narrow streets in the town centre, and along Wolverhampton Street. The decision was taken to build a road to by-pass the town centre to provide a faster and more direct route through the town. This was achieved around 1818 by the building of New Road, a turnpike road which links the main Walsall Road to the western end of Wolverhampton Street. 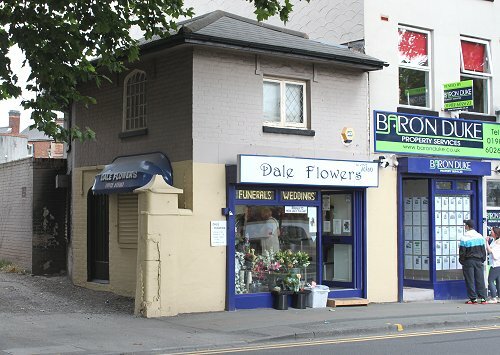 The old toll house is now a shop at 9 New Road. The old New Road toll house. 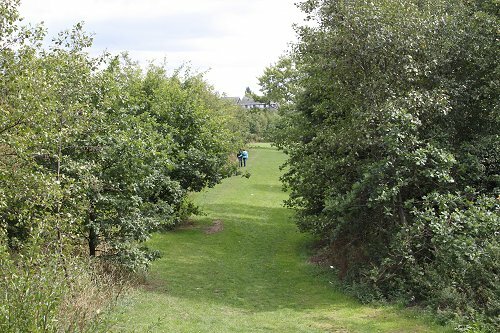 Before the building of New Road the area was known as ‘The Shrubbery’, an area of unspoilt countryside with a well-stocked fishing pool which was greatly enjoyed by many people from the surrounding area. When Wolverhampton Street ceased to be on the main route through the town, its once popular coaching inn, the Bull’s Head, declined in importance. Previously mail caches stopped here for refreshments, and to drop-off and collect mail. 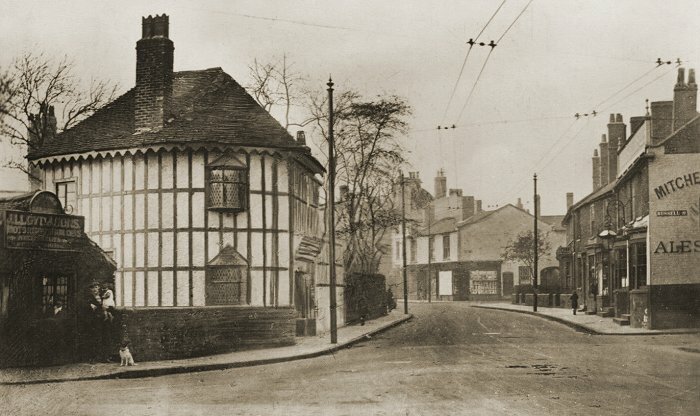 The pub was demolished in 1920. The Grand Junction Railway, the world's first trunk line, opened on 4th July, 1837, and had a great impact on the town’s industry. It ran from Birmingham to Liverpool and Manchester, via Wolverhampton, Stafford, and Crewe. The first train was hauled by an engine called ‘Wildfire’ and consisted of eight carriages. It caused great excitement, and many hundreds of sightseers flocked to watch its progress. The railway avoided the centre of Wolverhampton and Walsall because of local opposition, but once people realised the benefits of rail travel, they petitioned the railway company for extensions into the town centres. The following year the London and Birmingham railway opened, again offering new markets for Willenhall's goods. In 1846 the Grand Junction Railway, the London & Birmingham Railway, and several other railways amalgamated to form the London & North Western Railway, which yet again increased the impact on the town's industry. There were local stations at Bushbury, Wednesfield Heath, Portobello, Willenhall, Darlaston, and Bescot. Passenger traffic was never intensive, but greatly suffered as a result of the opening of the Stour Valley Line between Wolverhampton and Birmingham on 1st December, 1851. Passenger services were withdrawn between Willenhall and Bushbury on 1st January, 1873, and on the same date Portobello station closed after a life of only 35½ years. The first and last station master at Portobello was Job Broadbent. 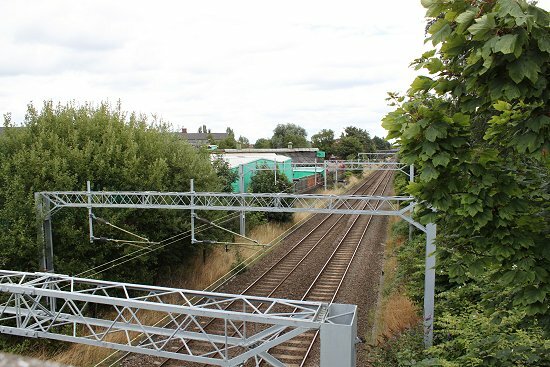 All traces of the station, which stood near to Noose Lane, have disappeared. Willenhall station stood on the eastern side of Bilston Street, with a goods shed to the west. It remained open until January 1965 when the line was closed to passenger traffic. In February 1838 a stray horse got onto the railway line in the Shepwell Green area. It collided with a passing train, which was derailed and ran into a field. The driver was killed, and a horse box thrown over, killing several horses. Luckily the passengers escaped without injury. The site of Willenhall's first railway station. As seen from Bilston Street. The accident at Portobello. A more serious accident took place at Portobello Junction around 6a.m. 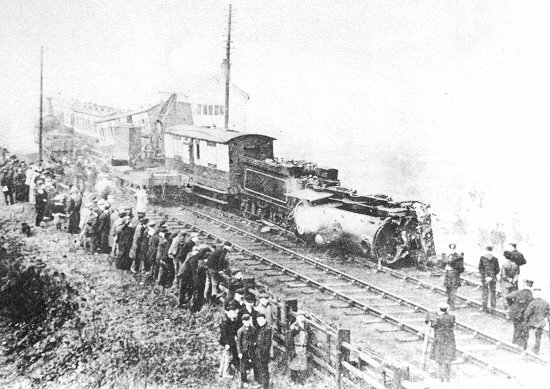 on Thursday 19th October, 1899 when a passenger excursion train from Wolverhampton collided with a goods train from Bushbury in thick fog. The engine from the passenger train ended on its side, instantly killing the driver. The fireman died later in Walsall hospital. Some of the goods wagons rolled down the embankment into a nearby field. None of the passengers were injured. They managed to leave the train, and walked back along the track to Wolverhampton. Willenhall acquired a second railway station with the opening of the Wolverhampton and Walsall Railway on 1st November, 1872. The station, with sidings and a large goods shed was originally called Willenhall Market Place. It stood on the western side of Temple Bar and was later renamed Willenhall Stafford Street. Services were originally operated by the London and North Western Railway, which purchased the railway in 1875, and a year later sold it to the Midland Railway. The site of Willenhall's second railway station. 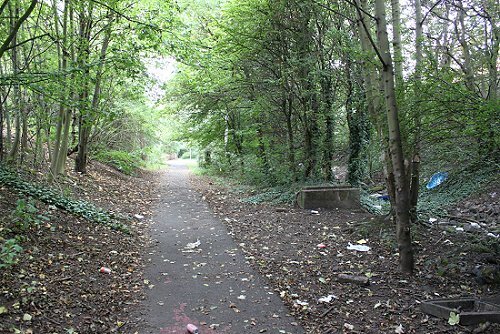 Another view of the site of Willenhall's second railway station. There were stations at Heath Town, Wednesfield, Willenhall, Short Heath, Bentley, and North Walsall. In 1923, after grouping, the Midland Railway became part of the L.M.S. Passenger services were withdrawn in 1931, but the line remained open for goods until 1st November, 1965. 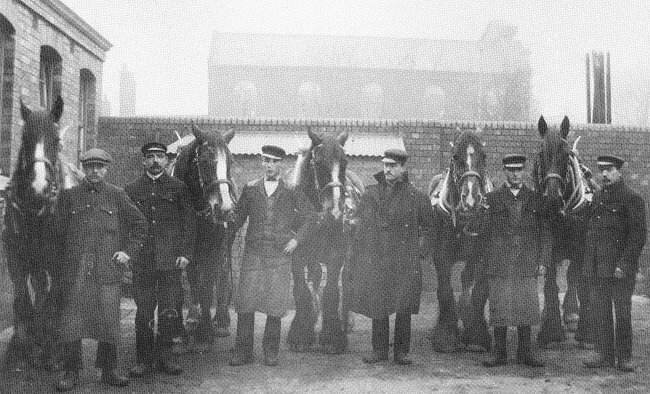 The staff at Willenhall Stafford Street Goods Depot around 1914. From an old postcard. 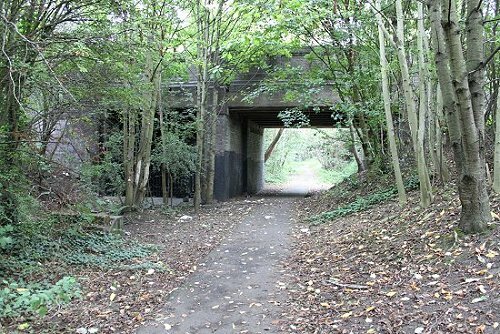 There were also a number of mineral lines and tramways in the area, including a mineral line from the Grand Junction Railway, just south of New Road, to New Priestfield Colliery, New Priestfield Iron Works, and the Birmingham Canal in Darlaston. There was also a tramway that ran from the mineral line to coal mines in Portobello. Another tramway carried coal from the collieries in Little London, across Temple Bar to Willenhall Furnaces in Sandbeds.